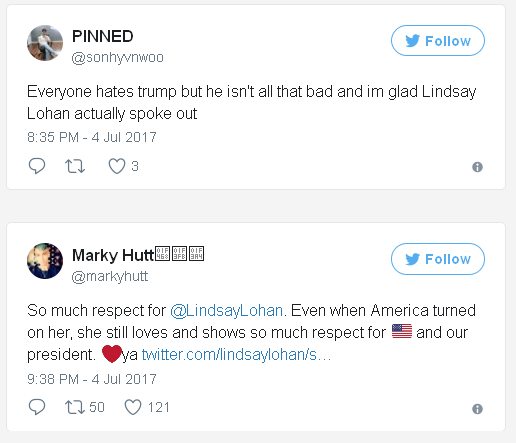 Lindsay Lohan pledged her allegiance to President Donald Trump on Independence Day. 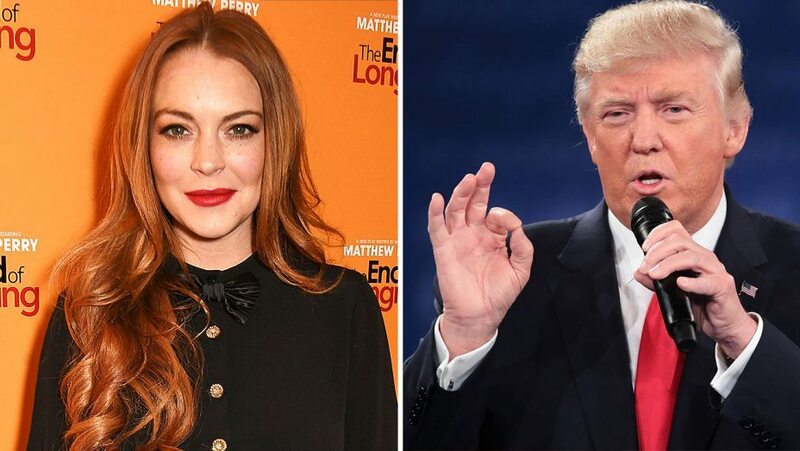 The "Mean Girls" star urged social media users to stop being mean to POTUS. 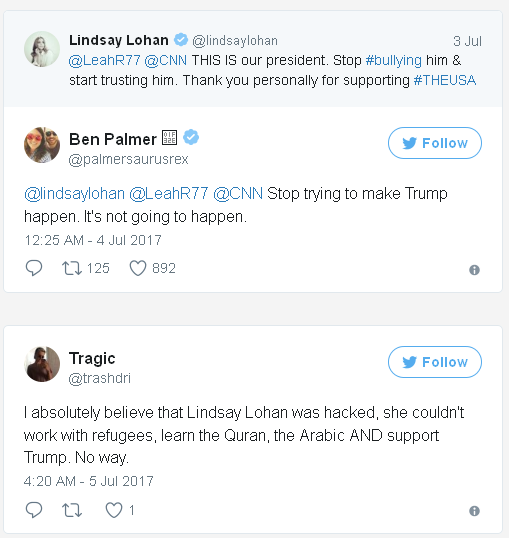 Trump fans responded favorably to Lohan’s bid. While others questioned the actress’ plea. Lohan has been all over map recently, uprooting her life in the United States for a home base in London. In 2016, the controversial star got some backlash for giving an interview in Greece in a bizarre accent she later called "Lilohan." Fox News reached out to Lindsay Lohan but have not gotten comment. 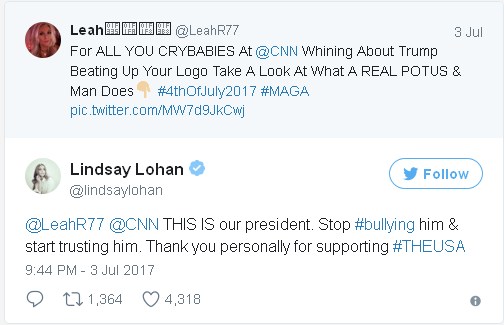 0 Response to "Lindsay Lohan defends President Trump, asks people stop 'bullying him'"